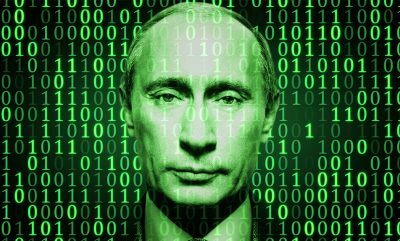 If the NSA’s conclusions are true, then Russian President Vladimir Putin is lying to say that the Russian government was not involved in any attempt to manipulate the 2016 U.S. Presidential election. The news-report by The Intercept fails to note this key fact, that even if the report is accurate, it’s irrelevant to the key question of whether there exists a possibility that Russian involvement in “hacking” the Presidential election might have affected the election’s outcome. Apparently, the four-reporter team at The Intercept weren’t interested in that question. All of their 3,811 words avoided mentioning it. One might speculate that if this NSA report is accurate, then Russia’s GRU botched rather stupidly to be penetrating into the computers of a vendor that had no contract in any of the battleground states, but The Intercept didn’t even make note of that, either. If you’ve wasted your time reading the present news-report, you’ve wasted reading only 597 words — less than 16% as many as are in The Intercept’s article.